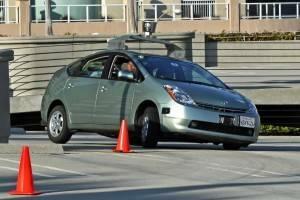 Test driving a car can be an overwhelming experience, particularly if it’s your first time. When you’re dealing with a stranger or sales person, it’s easy to freeze up and overlook key items, so it’s good to have a clear process of checklist lined up before you start. To make sure you’re prepared to test drive your next used car, we’ve put together this basic guide. With this in hand, just relax and remember: you’re in control. Let the seller know you appreciate the opportunity to test-drive the vehicle but that you are evaluating other options and have a process you need to go through to help you make your choice. And if you’re considering a purchase from a private seller, for safety reasons, arrange to meet during daylight in a public place, not at your home or office. When you’re heading out for a test drive, you’ll want to have a few things in tow. First and foremost, bring your driver’s license! Private sellers and dealerships will want to ensure you have a valid license before handing you the keys. Bring your insurance card. If you decide to go forward with the purchase, it will be helpful to have handy to add the new vehicle to your policy. Consider bringing a friend, which adds safety and brings a second set of eyes in case you miss something on the car. If you’re test-driving multiple vehicles, come up with a grading scale with points for different aspects of the car like the ride quality, road noise, seat comfort, interior/exterior wear, amenities, and mechanical condition. If you have them, bring a tire pressure and tread depth gauge to help you evaluate the tires. Before you fire up the engine, first walk around the vehicle and inspect it thoroughly. Open and close every door, including the trunk, to ensure that each operate smoothly. Be sure to check the edges and hinges for rust. Ask the seller or your friend to turn on/off the head lights, blinkers, brake, and emergency lights while you confirm that they work properly. While you’re at it, squat at the front corner of the car and look down the side for ripples, which may indicate body repair. Check the windows for any cracks or large chips. Inspect the tires and note if they match in size and brand. Check for any slashes or bulges, and note uneven wear, which may indicate they’re misaligned or out of balance. Ask the seller when the tires were last replaced, and you can inspect the tread depth visually or with a tire gauge for a sense of when they might need to be replaced. Make sure the tread has at least a quarter inch remaining, and if you have one, check the tire pressure, as improperly inflated tires can affect how the vehicle will drive. Next, you’ll want to get underneath the vehicle to look for leaking shock absorbers or to see if the skid plate is dented on an SUV. If you have a child that rides in a car seat, consider bringing that with you to test ease of installation. Most cars have anchors if you prefer those, but older models may have belt installation only. If the car has rear folding seats for storage or third row access, give them a try to test ease of use. If you’re test-driving a convertible, test how easy it is to put the top up and down. 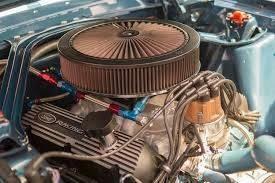 It’s best to inspect the engine bay before the test drive while the engine is cool. Start by popping the hood to check for proper oil, coolant, and transmission fluids. If they’re dirty or low, the seller may not have performed routine maintenance on the vehicle, or you may just need to be prepared to top them off after the purchase. Smell for any burnt oil or otherwise bad odor. When examining the oil, open the filler cap and note any residue, as sludge can indicate oil changes were infrequent. Check the belts and hoses for any visible signs of cracking. Look at the battery for potential corrosion. Dirt and dust are normal and can actually help identify any leaking fluids or oil spots. Make sure you’re comfortable with the seat’s positioning, mirrors, and visibility. Look at the gauges and dashboard lights and note any system notifications such as a Check Engine light or Low Oil level. Pay attention to interior features you use on a daily basis such as cupholders and storage areas for personal items like your phone and keys. Test all windows and locks. Try the radio at different volumes to test the sound system. If syncing your mobile device for music or Bluetooth is important to you, test those connections to ensure they work properly. Check the climate control system to make sure it blows both hot and cold air. Once you’ve explored the interior, you’re ready to hit the road. Choose a route that will allow you to test different speeds. In general, be sure to drive at least 35 mph on surface streets and at least 60 mph on the highway to get a feel for common driving conditions. 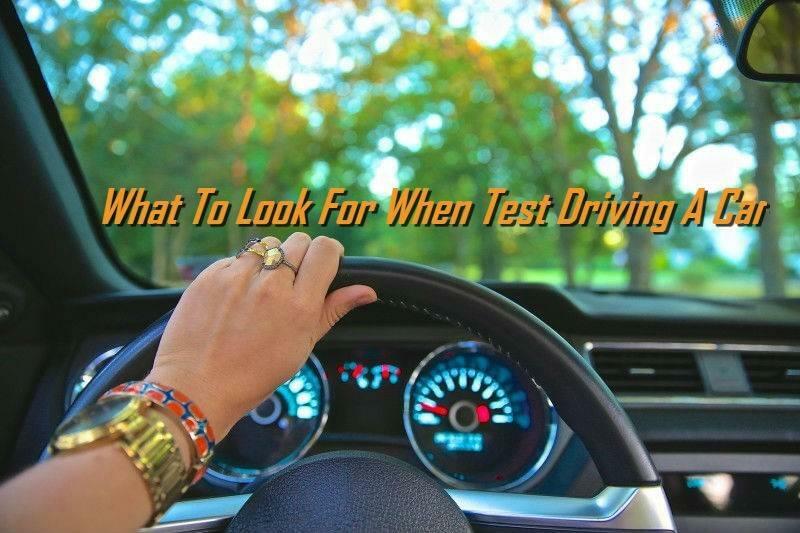 While you’re driving, pay attention to whether or not there are dead spots or notchiness in the steering—both could indicate a problem with the steering rack or suspension. Does the vehicle offer you ample power for accelerating or merging onto the highway? Are the brakes sensitive enough for your driving style? Note visibility as you drive to ensure you don’t have any dangerous blind spots. Listen and feel to ensure the engine transitions smoothly between gears. Do you hear any knocks, ticks, or hisses? Do you feel any weird shimmies or vibrations? Turn the radio off and listen to the road and tires to ensure you’re comfortable with the vehicle’s road noise. When you’re driving under 20 mph on a straight road, let go of the wheel temporarily to see if the vehicle pulls left or right. Park and take a look under the vehicle to inspect for any fluid leaks, as certain systems only engage once you start driving. Jot down the Vehicle Identification Number, or VIN, so you can look up the vehicle history report through Carfax if you haven’t already. If you feel like you’ve found a winner, you still may wish to have a professional mechanic perform a thorough pre-purchase inspection for you. Most mechanics charge 1-2 hours of their time, so even if you feel confident in the vehicle, a small up-front investment could help you avoid costly issues down the road or at minimum give you additional peace of mind in the purchase. If you have been struggling to find the car that fits best in your life, contact CarLotz today! Our professional sales staff will help guide to a car that fits both your budget and your lifestyle. We have a huge inventory of used vehicles in great condition, and they’re all on consignment, so you pay 10-20% below traditional retail prices. Just give us a call today to set up a test drive!